← Are Good Doctors Bad for Your Health? 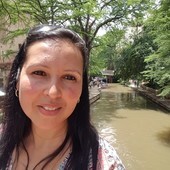 Kareemah Gamieldien does not work for, consult, own shares in or receive funding from any company or organization that would benefit from this article, and has disclosed no relevant affiliations beyond the academic appointment above. While conventional treatments are subjected to rigorous research before they can be recommended for clinical use, alternative treatments are not. These “natural” remedies are either turned into over-the-counter medicines or can be taken in their natural forms. It is important to note that alternative methods labelled “natural” are not necessarily “good”. Nor do they necessarily translate into healing. The use of traditional remedies should always be discussed with a physician or an oncologist. They may have adverse effects or may reduce the efficacy of conventional treatment. Many alternative or traditional medicines claim to have the ability to heal but there is no scientific evidence to support this. In some cases scientific evidence may even contradict the claims. 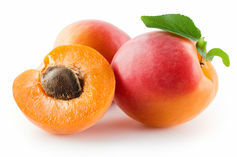 For generations the pits of many fruits, particularly apricots or kernels, have been promoted anecdotally to treat cancer. Traditionally the pits were chewed in their natural form. Amygdalin found inside apricot pits was thought to be the active ingredient linked to tales of its powerful anti-cancer properties. But after nearly four decades of research, scientists cannot find any proof of its elusive chemotherapeutic effects. 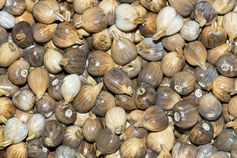 What has been reported and is nearly guaranteed is that a person who uses this remedy will suffer the adverse effects of chronic poisoning caused by the cyanide found in some of these pits. 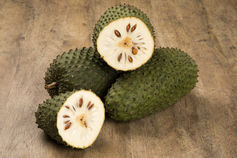 A member of the custard apple family fruit tree, Annona muricata, which is more commonly known as soursop, graviola or guayabano, is extensively eaten by indigenous communities in the tropical parts of northern Africa and South America. It is an oval-shaped, dark green, prickly fruit with a mildly acidic, whitish flesh. When the plant was put through scientific tests, studies found that several parts had potentially potent anti-cancer properties. This was particularly shown to be the case when used as an adjunct treatment. Research showed that the leaves have active ingredients that possess anti-cancer properties that kill lung, prostate, colon, breast, and pancreatic cancer cells. Its seeds display properties that perform the same task that chemotherapy treatment would, killing breast, oral and lung cancer cells. And its fruit component has anti-prostate cancer potential. Traditionally, the leaves and or roots would have been brewed or crushed for consumption, and the fruit eaten. But extracts of the active ingredients from the leaves have been made into tablets and sold commercially. These are taken in conjunction with conventional chemotherapy. Rooibos, which is only found in the Cederberg region of the Western Cape, South Africa, is known for its aromatic flavour. The plant has been found to have anti-cancer properties in in vitro and in vivo animal models. Additional research shows that the herbal tea possesses ingredients that reduce oesophageal and liver cancer and skin tumours. Clinical trials in humans are being planned. The Cancer Association of South Africa has endorsed the herbal tea’s potential as a form of natural chemoprevention. This means it can aid in preventing cancer and even possibly reduce the growth of cancer cells. And it has funded research projects aimed at identifying the active ingredients. Sutherlandia frutescens is indigenous to South Africa, Lesotho, southern Namibia and southeastern Botswana. It is commonly used in traditional medicine. This shrub-like plant has bitter, aromatic leaves and is known for its red-orange flowers during spring to mid-summer. Studies show that it has anti-cancer properties against oesophageal, prostate, liver, breast and lung cancer cells. Recent studies proposed that cancer bush, the name it is commonly known by, may be a promising adjunctive therapy because of its potent anti-oxidative properties. Preliminary clinical studies proved that it had no negative effects. And the indications are that it may act as an immune stimulant to support the cancer patient. It has been made into tablet form and commercialised but studies are continuing to produce more definitive evidence of its benefits. It is currently being marketed as a natural remedy that can be used alongside conventional treatment. Kanglaite is an anti-tumour drug that was developed using modern technology. It contains extracts from coix seeds. Research shows that Kanglaite has anti-cancer effects particularly in gastric, lung, and liver cancer. After passing the phase three clinical trials it was marketed along with conventional therapy to improve the patient’s quality of life.